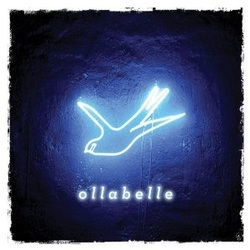 Ollabelle are a New York City band that play just about every strand of roots music and play them all exceptionally well. Each subsequent release seems to be more unpredictable in the variety of styles and genres that they have mastery over, but in the case of this new album I don’t necessarily think that is always a good thing. The playing is excellent, the vocals, particularly the female ones are quite exceptional, but with every track having a different style it has too much of the feel of a compilation and too little real direction. That is not to say that nothing works on this slightly disappointing album. As already stated the vocals are excellent as are some of the song choices. The problem seems to be that in trying to cover a variety of styles they have turned what could have been a very good roots album into a decent compilation of songs that individually are all good but as an album lack any real cohesion. The band is made up of Amy Helm (daughter of ‘Band’ legend Levon) on most of the lead vocals, Fiona McBain on guitars, Byron Isaacs bass, Tony Leone plays drums and Glen Patscha on keyboards. All are incredibly talented musicians with Amy having the beautifully expressive voice needed to cover this melange of blues, soul, gospel and even pop styles. She kicks the album off with an excellent bluesy soulful rendition of Paul kelly’s You’re Gonna Miss me and then to emphasise the stylistic changes we leap into Glen Patscha’s lead vocals on his own classic, laid back 1970s style, California country rock of One more time. Both are excellent songs and performances from completely opposite sides of the ‘roots’ spectrum. The Traditional Be your woman has an r ‘n’ b/ gospel feel that Delaney and Bonnie had mastery of several decades ago and this is followed by Wait for the Sun, which has the mellow soulful pop sound of 70s/80s Fleetwood Mac, with it’s gorgeous vocals and excellent harmonies, with the same applying to When I remember to forget. Taj Mahal’s Lovin’ in my baby’s eyes is sung well, presumably by Patscha, but has very little of the originals blues feel, coming across instead as a pleasant piece of rootsy pop. The classic old time folk song The Butcher Boy, despite at first being unrecognisable is still pretty good, with Amy’s beautifully haunting vocals really making the modern day production techniques, which give a slightly unbalanced feel to the song, unnecessary, whilst the standard, Swannee River with it’s male lead vocals and gorgeous harmonies is a match for most modern day versions of the song. Ultimately this is an album that contains a few outstanding performances, a few that are pretty good and one or two that don’t work at all, particularly the Chris Whitley penned Dirt Floor. Many will purchase the album simply because the stylistic diversity holds some appeal. Personally I can’t help feeling that this is what lets the album down as a whole and that it is a missed opportunity to define a style of their own and show the originality of which they are more than capable.